The word “unction” in our text is translated “anointing” the other two times it is used (1 John 2:27). That term, and a companion word, are used only seven times in the New Testament, but all refer to the same essential concept often spoken of in the Old Testament. Both things (tabernacle, temple, vessels, offerings) and people (priests, Levites, kings, ambassadors) were “anointed”—often ceremoniously—to identify them as consecrated or honored for a special service or position. Once anointed, the person or object was to be held in great respect by everyone. Thus, we who are the “children of God” (Romans 8:16) have been anointed by God Himself (2 Corinthians 1:21) in such a way that the anointing abides, teaches, and is truth (1 John 2:27). This anointing is, obviously, no ceremonial oil demonstrating an honor (Psalm 133:2), but rather the “pouring out” of the Holy Spirit Himself onto and into our earthly bodies, consecrating us to be the very “temple” of the Holy Spirit (1 Corinthians 6:19). This “unction” further designates us to be “kings and priests” (Revelation 1:6) who will one day “reign on earth” (Revelation 5:10). We are called “lively stones” (1 Peter 2:5) being built into a spiritual house for the Lord. 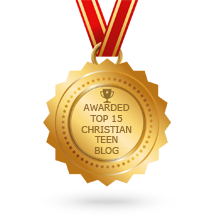 This entry was posted in A CLICK A BLESSING TODAY, CHRISTIAN NUGGETS and tagged Holy Anointing. Bookmark the permalink. Pingback: Holy Anointing – lastest informations about churches worldwide..